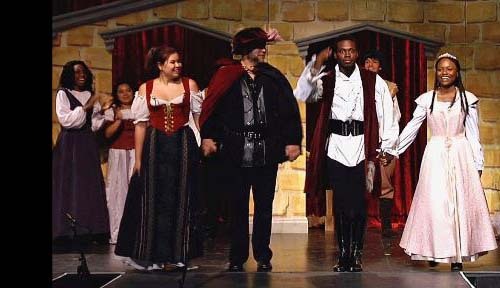 A feature documentary about the Inner City Shakespeare Ensemble, an innovative drama program led by Dr. Melanie Andrews. The group brings together talented young actors as, despite setbacks, they strive to create a 2015 production of the Bard's comedy, "The Taming of the Shrew." With remarkable never-before-seen “home movies,” this 2-hour documentary profiles the nine children of Joseph and Rose Kennedy, as they grew up in the 1930s and 40s, then burst into the national spotlight in the 50s with the political careers of John F. Kennedy, Robert F. Kennedy and Edward M. Kennedy. Insights and anecdotes are provided by historians Robert Dallek, Evan Thomas, Douglas Brinkley and Chris Matthews, and by close friends. 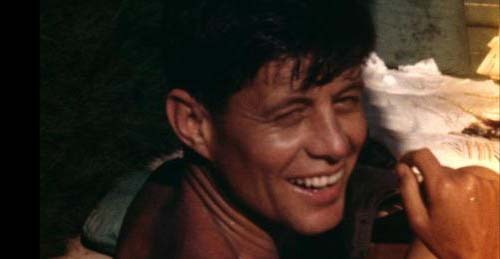 Rare 16-mm films seen for the first time in High-Definition were taken by the Kennedys and friends. Narrated by Liev Schreiber. Premieres on the History channel in 2011. Founded in 1906 in a rural Los Angeles mustard field, Immaculate Heart High School has educated thousands of young women and provided exceptional opportunities for intellectual, artistic and spiritual growth. Students at IHHS experience a rigorous academic program that fosters leadership and the uniqueness of each individual. This cinematic, multi-image documentary celebrates the 100 year heritage of the school and looks toward the future. Each summer more than 500 high school students come together for an intensive program in the arts called InnerSpark. Talented students apply their energies to painting, music, dance, writing, theater and film, and learn the rewards of these disciplines. Produced for the California State Summer School for the Arts, with guest artist Helen Hunt. A three-hour panorama of the U. S. Military Academy at West Point as it deals with tradition and change, from today’s "plebes" to the great figures of American history such as Ulysses S. Grant, Robert E. Lee, Dwight D. Eisenhower, George Patton and Douglas MacArthur. The program offers unique perspectives from writers, historians and social commentators, including Stephen E. Ambrose, David Halberstam, George Plimpton and General H. Norman Schwarzkopf. The friendship of three young Native Americans is shattered with the arrival of the first English settlers in North Carolina in the 1580s. This full-scale historical feature, with a cast of 40, was filmed on location at Roanoke Island on the Atlantic coast, and at studios in Winston-Salem. Produced by Sam L. Grogg and the North Carolina School of the Arts. Screens daily at Roanoke Festival Park. The true, dark story of the making and restoration of the film that many regard as Alfred Hitchcock’s most personal and romantic suspense masterpiece, told as a mystery itself. Produced for American Movie Classics and Universal Pictures, featuring Martin Scorsese, Kim Novak, Patricia Hitchcock. Narrated by Roddy McDowall. The dramatic life of Theodore Roosevelt is given full measure in this feature documentary narrated by George C. Scott with the music of John Philip Sousa. The film creatively mixes rare archive footage of TR with meticulous recreations featuring members of the real-life Roosevelt family. Named by The New York Times and the Washington Post as "one of the best programs of the year!" This multi-award-winning film was uniquely presented on ABC Network, A&E and the History Channel. Burt Lancaster narrates this swinging portrait of one of the all time giants of American music. From the Savoy Ballroom in Harlem in the 1920’s to Japan in the 1990s, Benny Carter lived a remarkable eight decade career as saxophonist, composer, arranger, band leader and film score composer, in a life of timeless wonder. With Quincy Jones, Ella Fitzgerald, Dizzy Gillespie. Named "Jazz Movie of the Year!" by the Los Angeles Times. Harrison Engle has produced biographical tributes for dozens of Hollywood’s leading actors and artists, including filmmaking legends such as Clint Eastwood, Billy Wilder and Martin Scorsese. His incisive tributes have appeared on seven Academy Awards telecasts, the Emmy Awards, Screen Actors Guild Awards, American Society of Cinematographers Awards, Directors Guild of America Awards, AFI Life Achievement Awards and many others. "I’ve always been fascinated by the personalities and dramas of the past. But there are wonderful stories today that must be told, and I remain curious about the new worlds coming just over the horizon."